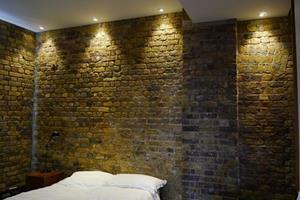 This project involved the complete refurbishment of a ten-year-old canalside warehouse conversion. 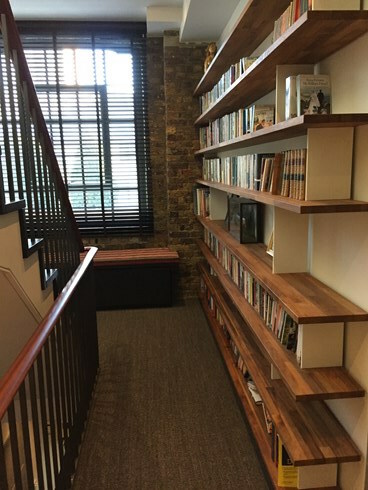 The owner and designer wanted the finished job to be in keeping with the property’s original use, and to have a moderately industrial theme. 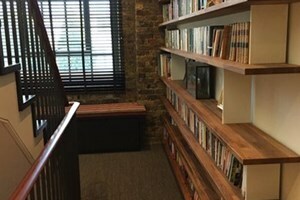 The initial brief was to install new floors and a new kitchen, replace the stairs with a new feature staircase, and to refit bedrooms and bathrooms on each of the two floors. After stripping the tiles in a 'back-to-back' en-suite, we discovered wet rot had spread to the joists underneath which meant that taking down the partition walls and replacing joists and flooring was the only option. Our design team proposed to remodel the previous bathroom ensuite to create one large and airy bathroom with a spacious walk-in shower. Flat-panel firedoors were re-faced to create a raised panel-effect, while bathroom and walk-in wardrobe hinged doors were replaced with sliding pocket doors. We removed all radiators and installed a new air-cooling and heating system with concealed ducting. 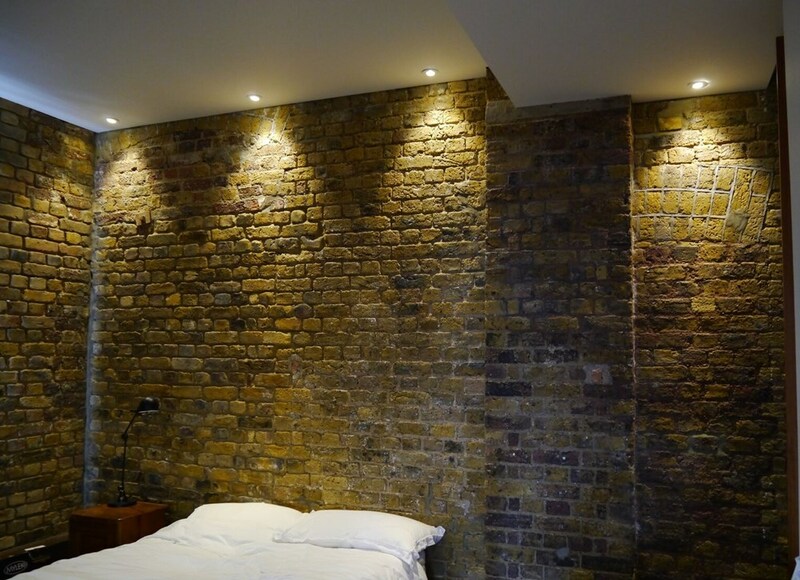 Feature lighting was used for the exposed brickwork, together with subtle LED remote lighting for wardrobes and bathrooms. Special attention was given to straightening the walls and levelling the ceilings and high quality decoration for a perfect finish. Among the property’s outstanding features are the Meranti and ebony black staircase and the chunky Douglas fir kitchen. Special mention must go to the designer Mark Gilbey and joiner Ben Fowler who together came up with some fantastic designs and high quality joinery.